Terraformation Series: Hydroformed Cone. 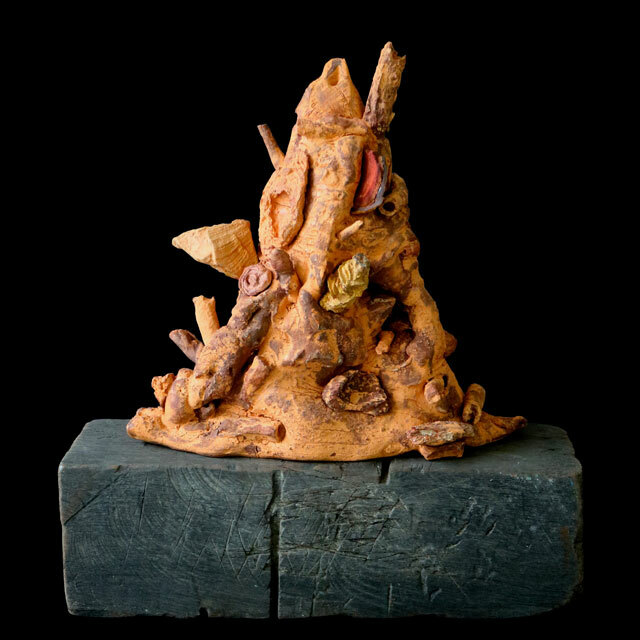 Cone 04 electric kiln fired earthenware clay, natural earth formations and glue. 12"H x 12.5"W x 5"D.